Hello lovely readers, I hope you are having a great week so far. As I now don’t have anything to do or anywhere to be (life of a graduate, yo) I’ve been pouring over fashion magazines and doing more online shopping than is healthy. A huge trend I’ve been noticing recently is bold, fun, out there bags and personally I am loving this trend. These bags are perfect for summer as they bring a bit of colour and allow you to have some fun with your look plus really get you in that summer mood. 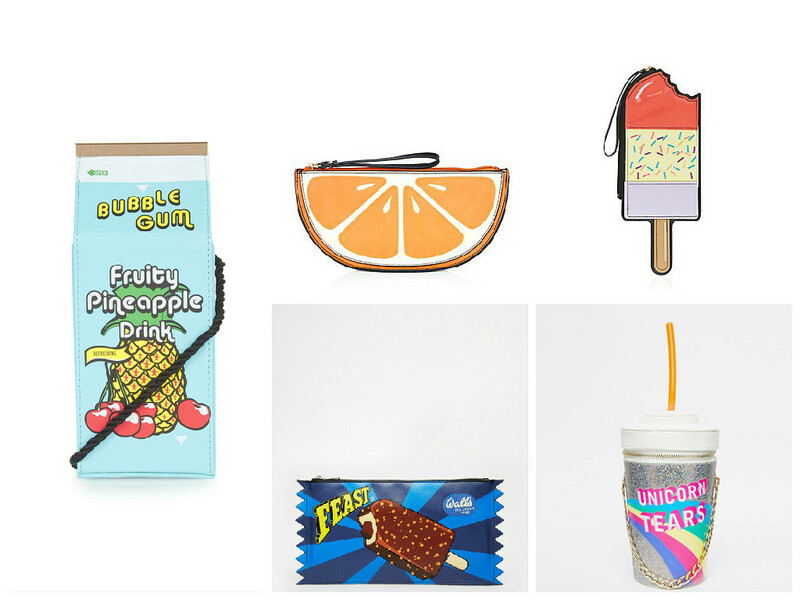 So I have picked out my personal favourites to give you some inspiration on what gorgeous fun bag you want to be carrying around in the summer. Links are included as always, enjoy! Disclaimer: No one has paid me/ asked me to do this post these are just pieces I love and want to share. 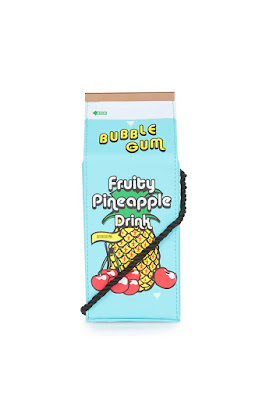 I love this pineapple juice bag, it would be perfect to take to the beach if you just want to take your bare essentials. I think it has a great fun vibe and would add a cute touch to any outfit. Fruit is obviously a perfect choice for summer, who doesn’t love eating a cool piece of fruit in the hot weather? And this bag does look good enough to eat. 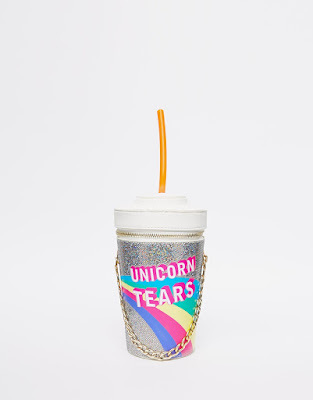 Ok so you might ask why you would want to carry around a bag of “Unicorn Tears” but I just think the cup design of this bag is awesome and it’s sparkly print will be great for summer nights out with friends. 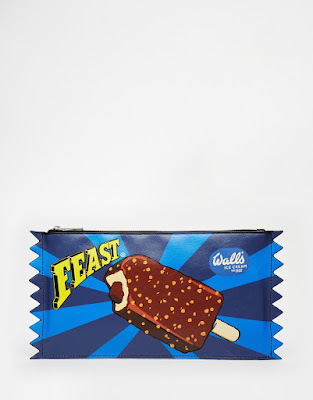 If you want to find cute out there accessories head to Asos they have recently done a collaboration with Walls and brought out ice cream themed accessories. 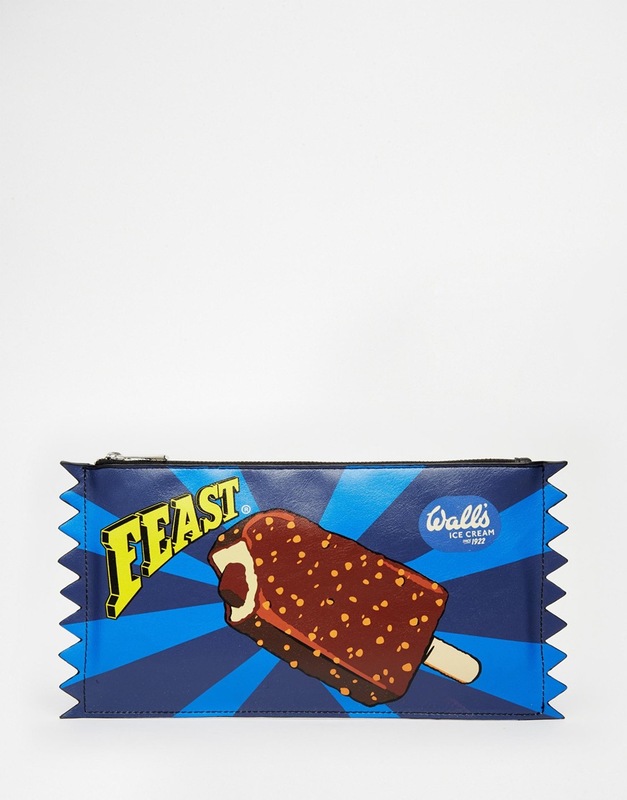 This is one of my favourite pieces in the collection as I am a massive Feast fan, yum! Another ice cream bag, I know but honestly what says summer better than ice cream? This is also a plus for those of us who may feel too old and self conscious to be in queue for the ice cream van with a group of children. I hope you enjoyed this post and have found something you may want to try out. Are you loving this trend at the moment? Do you have a out there bag you love? I love the orange one the also do it as a slice of lemon too, I'm glad you like them lovely aw thank you hope you are having a great week too beautiful! I love the two ice cream bags, but also the fruit one from New Look!